The claim that “vaccines cause autism” was first made by Andrew Wakefield’s now-retracted study in The Lancet, published in 1998. The study’s authors examined 12 children, who were reported to have gastrointestinal problems and pervasive developmental disorder. Based on the results of this study, Wakefield claimed to have discovered a link between the measles, mumps and rubella (MMR) vaccine and autism. Although the number of children was too small to provide conclusive evidence, this story received wide and sensational media coverage, which led many parents to avoid vaccinating their children for fear of autism. This also set the stage for the rise of anti-vaccine groups and the fall in vaccine coverage of developed countries. Investigative reporter Brian Deer later blew the whistle on Wakefield’s study, exposing its numerous flaws that essentially invalidated the study’s claims in a 2004 report in The Sunday Times#. Deer found that in addition to data fabrication and manipulation, Wakefield had breached ethical standards by failing to disclose conflicts of interest. Firstly, he’d filed patents for a measles diagnostic assay and an alternative, “safer” measles vaccine. He had also set up a company for the purpose of selling these products, which would stand to gain if the MMR vaccine was discredited. Secondly, he was also a paid advisor for a lawyer building a case against vaccine manufacturers on behalf of parents of children with autism. This lawyer had been seeking evidence to build his case, and Wakefield’s study had, in fact, been provided £55,000 by the legal aid board for this purpose. Deer’s report eventually prompted the British General Medical Council (GMC) to launch an investigation into Wakefield’s study in 2007. In 2010, Wakefield was found guilty of “serious professional misconduct” by the GMC (its final report can be found here), and struck off the medical register. The Lancet retracted the study in 2012. There is absolutely no single shred of evidence that vaccination, of any type, causes autism. There is also absolutely no shred of scientific evidence about either vaccination or autism suggesting any possible mechanism that could be responsible for such an association. The whole story about MMR vaccination and autism was concocted and promulgated fraudulently, as reported in the most comprehensive, in-depth, precisely detailed and documented investigation by Brian Deer, an eminent prize-winning journalist. Unfortunately, the impact was greatly magnified and perpetuated by the egregious conduct of the formerly reputable British medical publication The Lancet, which behaved disgracefully badly in this matter. Also, very sadly, the regrettable conflation of association and causality, led many otherwise well-meaning non-scientific and non-medical people in the general population, to accept the false connection and to promote it. This happened despite the irrefutable fact that the purported association between vaccination and autism did not and does not exist, let alone any causal relationship between them. Most tragically, the reduction in uptake of MMR vaccination resulting from the Wakefield scandal has directly caused the well-documented sickness, maiming and death of thousands of children from measles[9,10], and continues to do so up to the present. Outbreaks of measles causing severe illness and some deaths continue to occur in the developed world while, catastrophically, in the developing world the lethal consequences of insufficient MMR vaccination are even more severe. MMR does not cause autism. Claim 1: “MMR immunisation leads to chronic measles infection (and immune dysfunction)”. The MMR vaccine contains an ‘attenuated’ strain of the measles virus which has been specially developed to diminish its capacity to cause disease, while conserving its capacity to provoke an antibody reaction that will protect against further exposure to the wild measles virus. (The fact that this is still a live virus – though attenuated – means that MMR has NEVER contained thimerosal or any form of mercury, which would render it inactive.) By contrast with the wild measles virus, the attenuated strain reproduces sluggishly, does not cause disease and provokes a much lower immune response. MMR has never been shown to cause either measles or immune dysfunction. In the 20 years since his (now discredited and withdrawn) Lancet paper suggested that MMR caused bowel inflammation, neither Andrew Wakefield nor any of his supporters has produced evidence that has been accepted as supporting his hypothesis. Wakefield and his collaborators have also failed to demonstrate the existence of either increased gut permeability or toxic peptides following MMR. Children who suffer from inflammatory bowel disease or immune deficiency states do not have increased rates of autism. Neither the existence of toxic opioids nor the mechanism by which they might cause autism has been substantiated. This theory is inconsistent with the widely accepted contribution of genetic factors to the development of autism. Large-scale epidemiological studies conducted in different countries have failed to reveal any link between MMR and any form of autism. Anti-vaccine groups have put forward several hypotheses to explain how vaccines could cause autism. One of the vaccine ingredients that they took exception to was thimerosal (called thiomersal in the UK), a mercury-containing preservative used in multi-dose vaccine vials. Such preservatives are used to ensure vaccine sterility, since vaccines contaminated with microbial growth are a danger to health, as the Bundaberg story of 1928 illustrates clearly. Anti-vaccine groups claimed that the mercury from thimerosal caused brain damage which led to autism. No scientific evidence exists to support that claim. Studies examining thimerosal exposure and autism rates have shown that the two factors are not associated with each other[7,8,12]. Even more compelling is the fact that the MMR vaccine never did contain thimerosal. Eventually, vaccine manufacturers stopped using thimerosal in other childhood vaccines, simply to regain public trust in vaccine safety. A study has found that autism rates have continued to increase even after thimerosal was withdrawn from vaccines, supporting the fact that thimerosal does not cause autism. But after thimerosal was withdrawn from childhood vaccines, anti-vaccine groups took exception to another vaccine ingredient: the aluminium salts that are used as adjuvants. Adjuvants are used to promote a more robust immune response and achieve a better protective effect from the vaccination. It was proposed that aluminium adjuvants activate the immune system in pregnant women who are vaccinated. This immune activation would lead to autoimmune brain damage in their unborn child, thus causing autism. The argument against aluminium was also promoted in a blog article that has been shared more than 180,000 times on social media. Proponents also suggested that autoimmune brain damage (through the same mechanism) occurs in children after vaccination, leading to autism. A commonly-cited study in favour of this idea was published by 2 former scientists from the University of British Columbia. That study was later retracted upon the discovery that its data had been manipulated and falsified, and that its methodology was flawed, as this Ars Technica article reported. Apart from the flawed study, the fundamental problem with this hypothesis is that microbial infections – whether with bacteria, viruses or fungi – also result in immune activation. After all, this is part of how the immune system fights off infection. If it is true that simply activating the immune system results in autoimmune brain damage that causes autism, then autism rates in children would be much higher than they are. This is because common microbial infections (such as the cold) also happen to pregnant women and young children (the latter are a group notorious for frequent bouts of illness). In short, the hypothesis that “immune activation by aluminium adjuvants leads to autism-causing brain damage” is clearly unsupported by any evidence. Anti-vaccine groups have also decried childhood vaccination schedules, in the belief that too many vaccines given in a short amount of time would “overwhelm” a child’s immune system and cause harmful effects. However, a study published in 2013 by DeStefano et al. using data from more than 200 children showed no increased risk of autism from increasing exposure to immune-stimulating agents in vaccines. An assessment of health outcomes from the US childhood vaccination schedule by the Institute of Medicine also found no evidence for concern. Nevertheless, this belief persists, and has led some parents to try to delay and “space out” the administration of different vaccines. As the American Association of Pediatricians has pointed out, children are exposed to far more immune-stimulating particles (also called antigens) on a daily basis than are harboured by all vaccines in the schedule. Spacing out vaccines only results in delayed protection, and a greater chance of contracting a vaccine-preventable disease and its complications. This article has been reviewed by Professors Peter McIntyre and Nicholas Wood of the National Centre for Immunisation Research and Surveillance, Sydney Children’s Hospitals Network and the University of Sydney. 1 – Deer B. (2011). How the case against the MMR vaccine was fixed. British Medical Journal. 2 – Deer B. (2011). How the vaccine crisis was meant to make money. British Medical Journal. 3 – Hviid et al. (2019). Measles, Mumps, Rubella Vaccination and Autism: A Nationwide Cohort Study. Annals of Internal Medicine. 4 – Mrozek-Budzyn et al. (2012). Lack of association between measles-mumps-rubella vaccination and autism in children: a case-control study. Pediatric Infectious Disease Journal. 5 – Uno et al. (2012). The combined measles, mumps, and rubella vaccines and the total number of vaccines are not associated with development of autism spectrum disorder: the first case-control study in Asia. Vaccine. 6 – Honda et al. (2005). No effect of MMR withdrawal on the incidence of autism: a total population study. Journal of Child Psychology and Psychiatry. 7 – Fombonne et al. (2006). Pervasive developmental disorders in Montreal, Quebec, Canada: prevalence and links with immunizations. Pediatrics. 8 – Taylor et al. (2004). Vaccines are not associated with autism: an evidence-based meta-analysis of case-control and cohort studies. Vaccine. 9 – Omer and Yildirim. (2019). Further Evidence of MMR Vaccine Safety: Scientific and Communications Considerations. Annals of Internal Medicine. 12 – Andrews et al. (2004). Thimerosal exposure in infants and developmental disorders: a retrospective cohort study in the United Kingdom does not support a causal association. Pediatrics. 13 – Schechter et al. (2008). Continuing increases in autism reported to California’s developmental services system: mercury in retrograde. Archives of General Psychiatry. 14 – DeStefano et al. (2013). 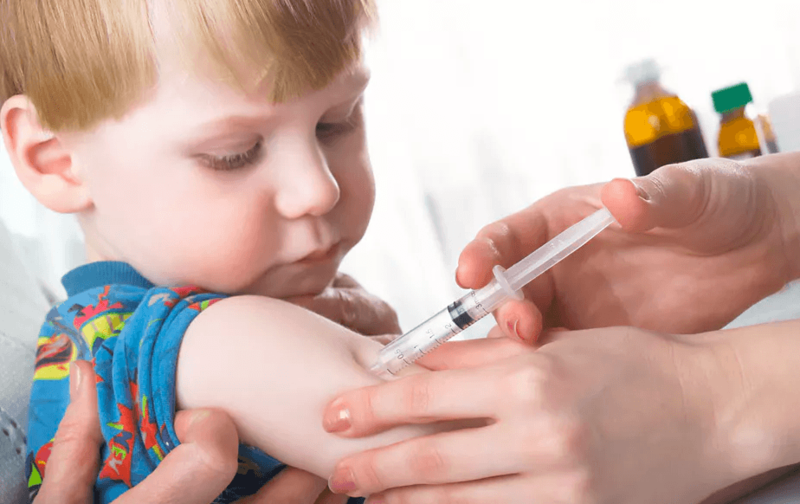 Increasing Exposure to Antibody-Stimulating Proteins and Polysaccharides in Vaccines Is Not Associated with Risk of Autism. Journal of Pediatrics. # The Sunday Times report is available here through subscription, but you can also read Deer’s story in the British Medical Journal for free[1,2].